At the DLANC's Planning & Land Use committee meeting, LA City officials made presentations on the new LAPD headquarters and the public space in and around it. Also on the agenda was the 2nd street widening behind Cal-Trans that links Little Tokyo and the Historic Core and subject of blog discussion here and there and everywhere. The approved recommendation for the widening of 2nd Street was to not widen it. With the need for left-hand turns, it was surveyed and recommended that an extended left turn pocket (lane) be made for left turns from 2nd street onto Main Street, 2nd Street onto San Pedro, and if needed an optional short pocket from 2nd Street to Los Angeles Street that would only take out some metered parking. This would keep the 2nd street sidewalk as it is now. 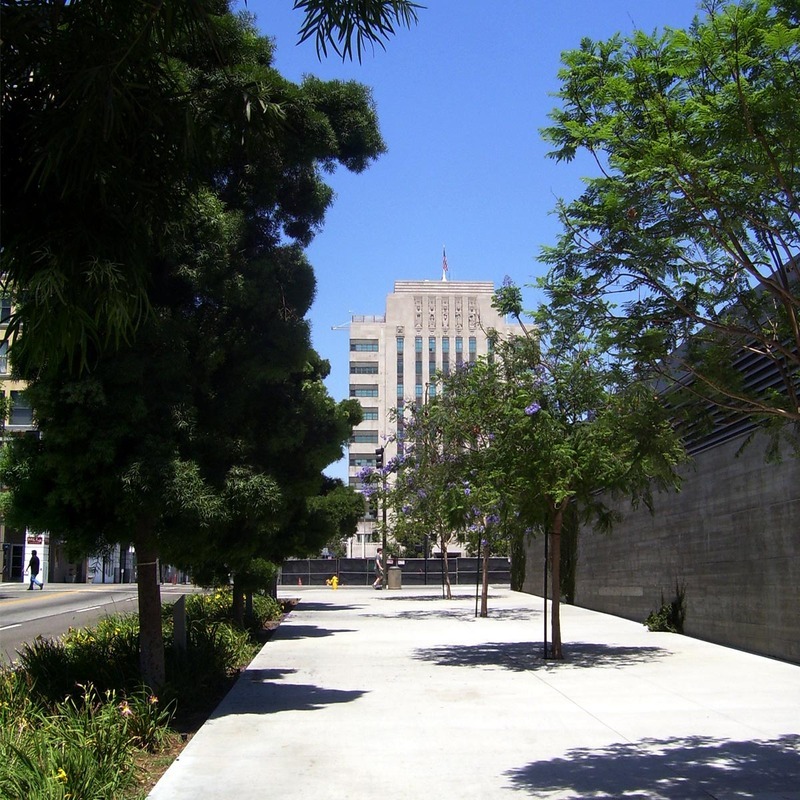 With the present layout of a civic plaza at LAPD new headquarters, pedestrian traffic would flow from the front (on 1st street across from City Hall) and angle to the corner of Main and 2nd and spill out onto a respectable patch of green space behind LAPD. So by accident or design, this pedestrian friendly walk and view is safe for now. Unless another rumor starts.